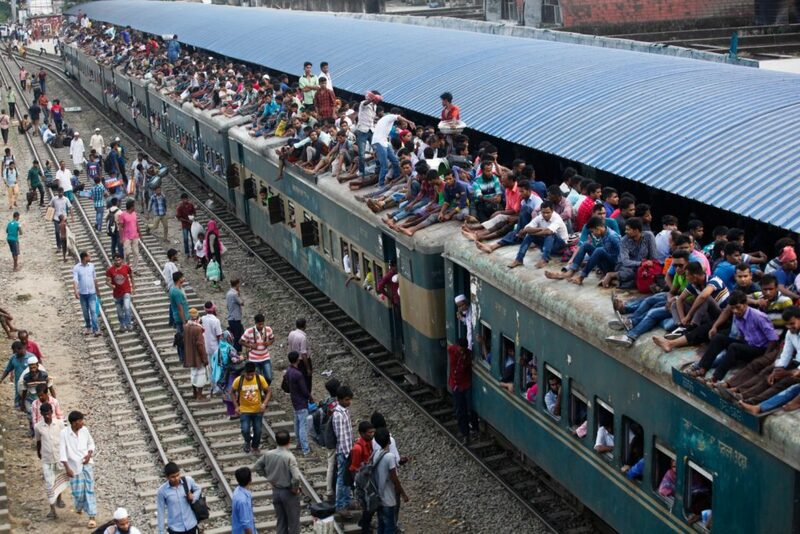 People leave for villages by train ahead of the the upcoming religious festival Eid-ul-Adha at Airport railway station in Dhaka. The capital city of Bangladesh has more than 18 million citizens living there and is considered the most densely populated city on the planet. 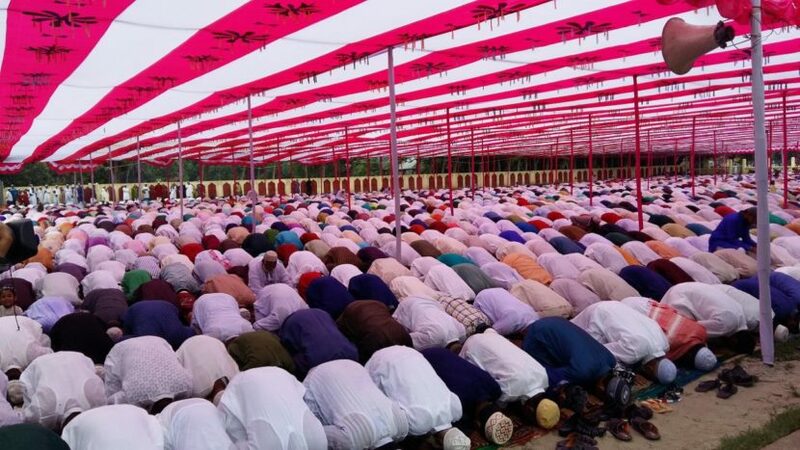 Each year, huge numbers of people go to back home to their home villages to celebrate Eid. Copyright © datasoft-japan All Rights Reserved.